Like every other author out there, I could sit down and write my own advice on writing, but that would be a colossal waste of my time . There are already plenty of books on writing out there. The Elements of Style – William Strunk, Jr. Highly Recommended. Buy this book. It’s short at only seventy pages, but has absolutely no waffle. If you read it and ensure you implement it in your writing, you’ll save a lot of time on editing later. Chicago Manual of Style. I don’t own this book because I am depressingly short of cash at the moment and it is expensive. But I want it. There are plenty of house style manuals out there, but this is the most popular. You won’t go wrong following its recommendations, or at the least if someone does argue that you got it wrong, you can say, ‘but it’s in the Chicago Manual of Style,’ which is a decent argument in itself. The Crime Writer’s Guide to Police Practice and Procedure – Michael O’Byrne. Anyone wanting to write a book set in the UK and involving crime or the UK police should read this book (and preferably buy a hard copy. Mine is bristling with sticky notes). A Writer’s Guide to Police Organization and Crime Investigation and Detection – D.J. Cole. It appears this may have gone out of print although there are still second hand copies on Amazon. Another useful book for those considering police procedurals. Also recommended. Police Procedural. A writers guide to police and how they work. – Russell Bintliff. Another good guide, also seemingly out of print, on police procedure. This one is aimed at the U.S., but still interesting and useful from a non-U.S viewpoint. Forensic Clues to Murder – Brian Marriner. Another one that looks like it’s gone out of print. I’ve had this book for years, and it’s not only handy for authors, it’s also gruesomely interesting. Writing: A User Manual – David Hewson. The tag for this is: A practical guide to the craft of planning, starting and finishing a novel. Does what it says on the tin. Self-editing for Fiction Writers – Renni Browne and Dave King. Highly recommended. This showcases basic problems with amateur writing and explains how to fix them. Definitely worth a read. The First Five Pages. A Writer’s Guide to Staying Out of the Rejection Pile. – Noah Lukeman. Another good guide to problems in writing and their fixes. FWIW – this and Self-editing for Fiction Writers are quite similar. If you’re short on cash, it’s not worth getting both. Nail Your Novel – Why Writers Abandon Books and How You Can Draft, Fix, and Finish With Confidence – Roz Morris. This is slightly different to the two guides above. Rather than explaining the basics, it details how writers go wrong and lose their enthusiasm, and provides some practical advice on how to get back on track. Definitely worth a read. Mystery Book. I read a wonderful technical writing book on my Kindle some years back. It was completely no nonsense, and had absolutely no waffle. It even had graphs. But now I can’t find it or even remember what it was called. Watch this space, I’m going to dive in again later and hopefully find it. The Emotion Thesaurus – Angela Ackerman & Becca Puglisi. This handy guide lists the most common emotions, and then the most common thoughts, language cues, and physical reactions to each. It’s not exhaustive; that’s not in the realms of possibility, but it is a handy shortcut and can inspire the right reaction for your character. The authors also have two other books out detailing character flaws and attributes. I’ve heard good things about these, but haven’t read them myself yet. There are about a zillion books on how to self-publish out there at the moment, and the quality ranges from dreadful to indispensable. Let’s Get Digital – David Gaughran. If you’re new to the idea of self-publishing, then this is the book to start with. If you’re involved in the self-publishing community and keep track of the changes going on there, it will be less useful. That said, it makes an interesting read, no matter how much you know about self-publishing. Recommended. Let’s Get Visible – David Gaughran. If you intend to self-publish, or have already self-published, then you need to buy this book. It provides practical information on which types of marketing work, and which don’t, and gives some fascinating insight into the mysterious world of Amazon algorithms. Mr Gaughran also recently released the 2nd edition and provided a free updated copy to those who’d bought the first edition. How to Market a Book – Joanna Penn. Another very useful marketing guide. No-nonsense and to the point. Another one on the ‘Must-Read List’ for indie authors. 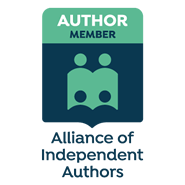 Business for Authors – Joanna Penn. I haven’t actually read this one yet, but anything from Joanna Penn is probably worth a read. I’ve seen her speak at a number of different conferences; she has her finger on the pulse of indie publishing, and always has something interesting to say. Write. Publish. Repeat. – Sean Platt and Johnny B.Truant. Another excellent guide to self-publishing from two very successful self-publishers. Read this book. On Writing – Stephen King. I can’t write a list of books on writing without mentioning Stephen King’s On Writing. As a fan of Mr King (who isn’t) this provides some useful advice, but is probably more interesting because it also details his writing life and history. I’ve read it three or four times over. 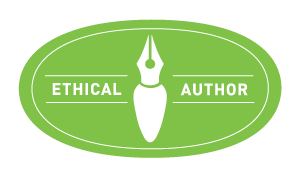 I have signed up to the Ethical Author Code of Conduct.